Since January 2018, eight new police officers have joined BUPD. Collegian file photo. The Butler University Police Department is officially at full capacity with officers. As a result of officers transitioning out of BUPD, there has been a number of new officers joining the department in the past year. A number of BUPD’s younger members have been given an opportunity to diversify their experience — for example, some have moved on to be part of Indianapolis Metropolitan Police Department. This is not the first time this has happened. 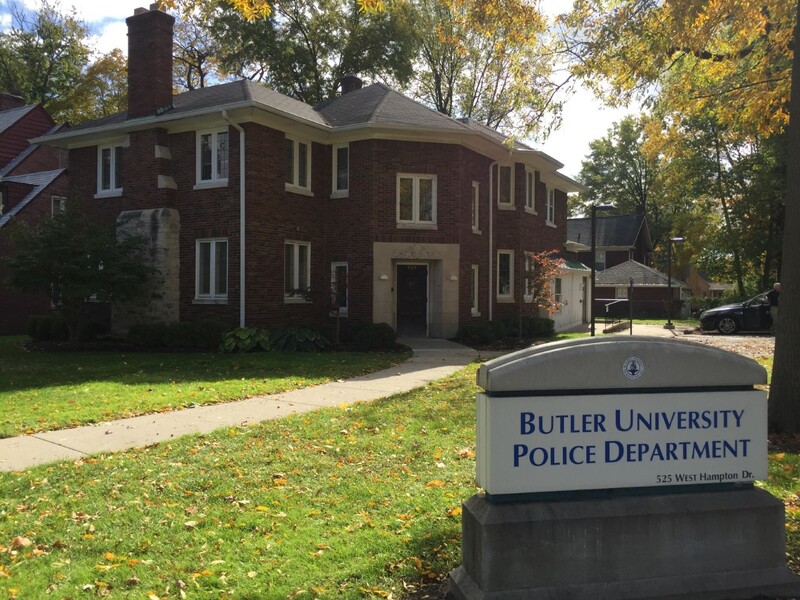 BUPD Chief John Conley said there have been multiple occasions in the past when other police departments nearby have called upon Butler University officers to help out due to their skills and qualifications. So, with the departure of some officers comes the welcoming of new ones. “It’s easy to say, ‘Oh, they’re just campus cops,’ because we are, yet there are approximately 551 years of experience and 26 educational degrees among BUPD officers,” Conley said. Since January 2018, BUPD has hired a total of eight new officers — five of whom were hired after June 1, 2018. These additions filled spots in BUPD, capping off the department at 26 officers. “We have some really neat people here, and we brought on a wealth of experience,” Conley said. The new officers include a mixture of former military veterans, an FBI academy graduate, former IMPD officers, state certified trainers and former K-9 officers. One of the new hires is Matt Grimes, who is certified in Crime Prevention Through Environmental Design. CPTED, a new position on campus, is the designing and usage of the environment to reduce crime, improve the feeling of safety and improve the quality of the community. His current job is to go around campus and highlight safety issues that can be fixed, whether that be through new lighting or trimming trees and bushes. Another new officer in particular is Jeff Wager, BUPD detective and Butler alumnus. Wager was the lead instructor for Indiana homicide and major crime scene investigation, and now serves as a detective for BUPD. He has a total of 32 years experience in the police force: 16 years as a homicide detective, 14 as road patrol and 11 as a field trainer. “University policing is not like other policing, it’s more about security and safety and since I have been here the experience has vastly grown,” Wager said.